Some well-known male chefs are getting behind a New Jersey teenager's call for Hasbro to make a gender-neutral Easy-Bake Oven. Chefs including Manuel Trevino of TV's "Top Chef" and Michael Lomonaco of Porterhouse New York are featured in a YouTube video posted Tuesday applauding McKenna Pope's online petition. The 13-year-old from Garfield started the petition when she went to buy an Easy-Bake Oven for her 4-year-old-brother but discovered it comes only in purple and pink. The chefs are echoing Bobby Flay, who agreed that Hasbro should make an oven in other colors to appeal to boys. 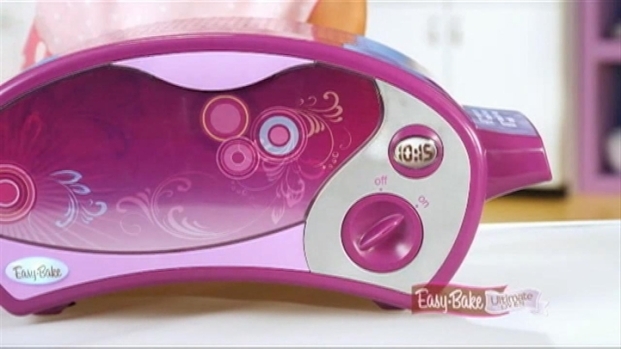 Girl Takes on Toy Giant Over "Easy Bake Oven"
A young girl wants her brother to have an Easy-Bake Oven, but she can't find one that's marketed to boys, so she's taking on Hasbro. Checkey Beckford reports. In the short video, Lomanco and other chefs in his kitchen cheer on McKenna. New York chef Spencer Rubin asks Hasbro: "Please make an Easy-Bake for dudes." A spokesman for Hasbro did not immediately return a message seeking comment.